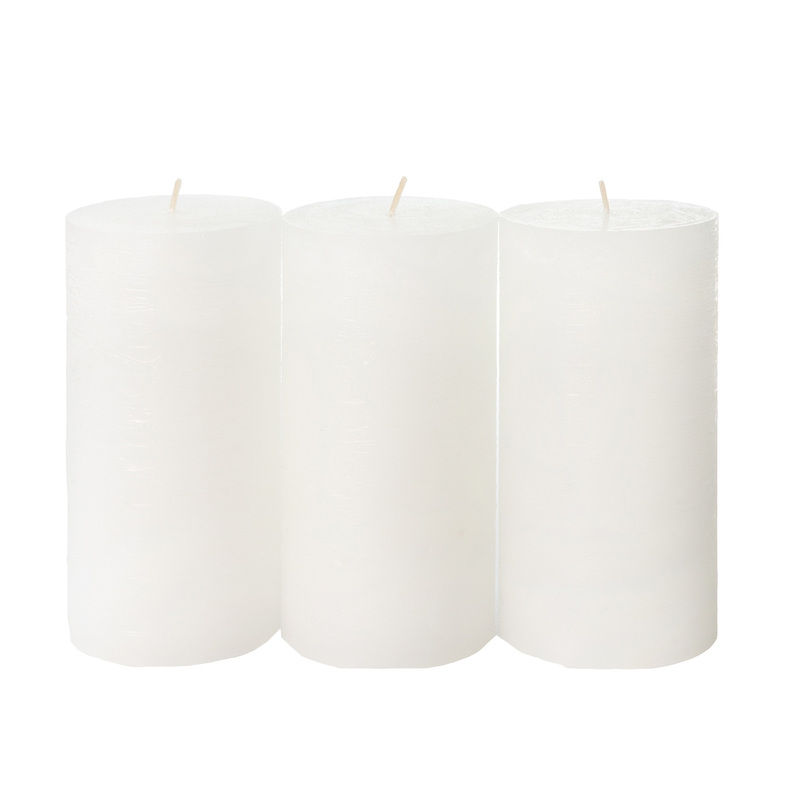 PROFESSIONALLY HANDCRAFTED from natural, food-grade paraffin wax and a natural cotton, lead-free wick. Dripless and soot-free, vibrant and luminous. Burn time is at least 90 hours per candle. GREAT DECORATION: sophisticated looks create mellow ambience for any kind of event. Mix and match different sizes, colors and patterns. Both fragrance-free and lightly scented versions are available. ALWAYS POURED BY HAND. Made by Candle Atelier in Europe. Safe - no chemicals. 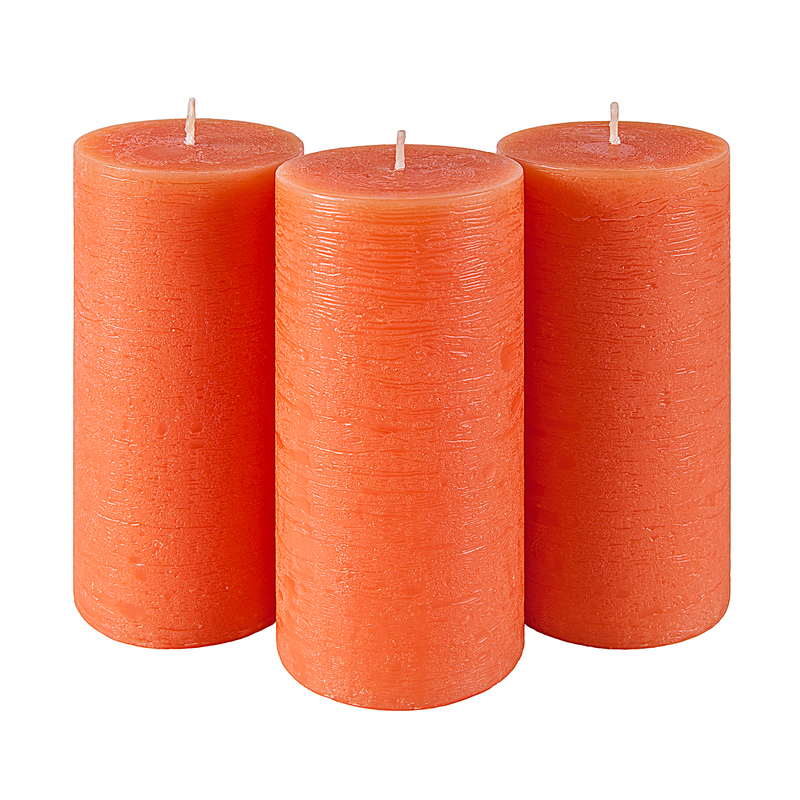 Set of three candles. 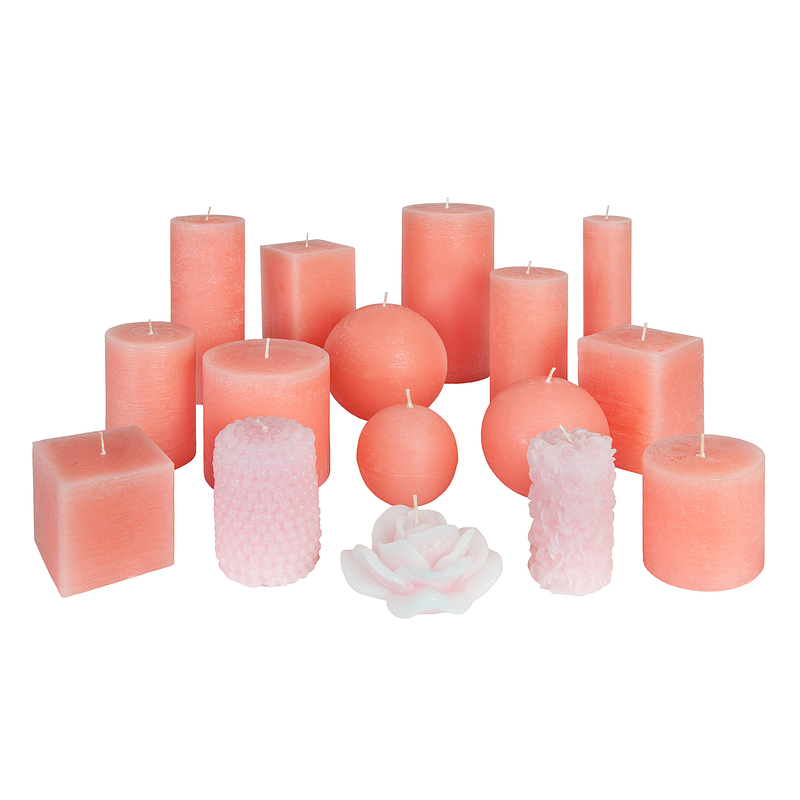 Candle Atelier candles are made from natural, food-grade paraffin wax. The natural cotton, lead-free wick is clean-burning and soot-free. 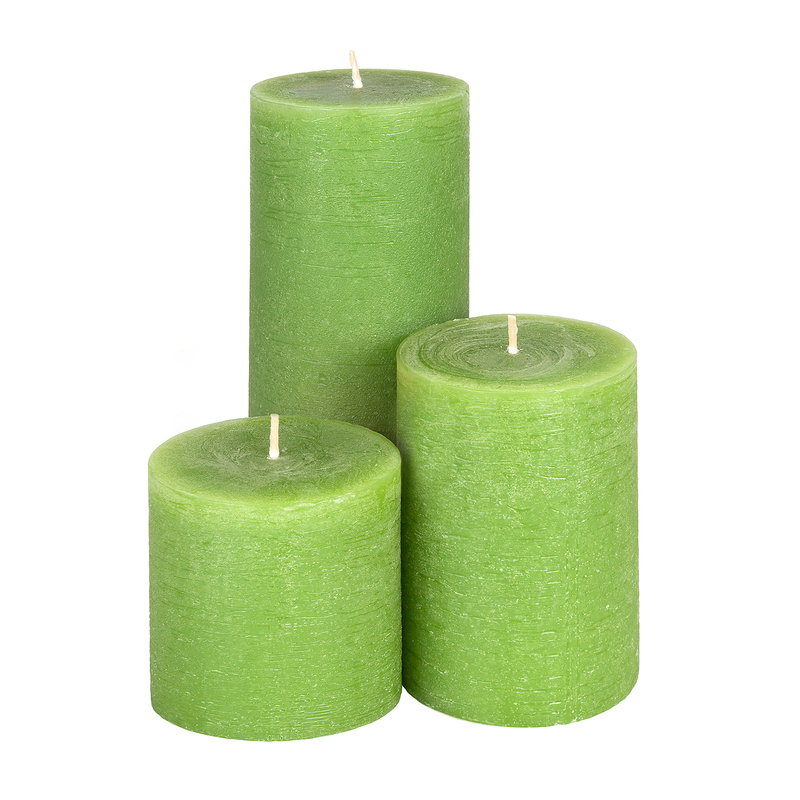 Our candles are dripless and contain no chemicals. 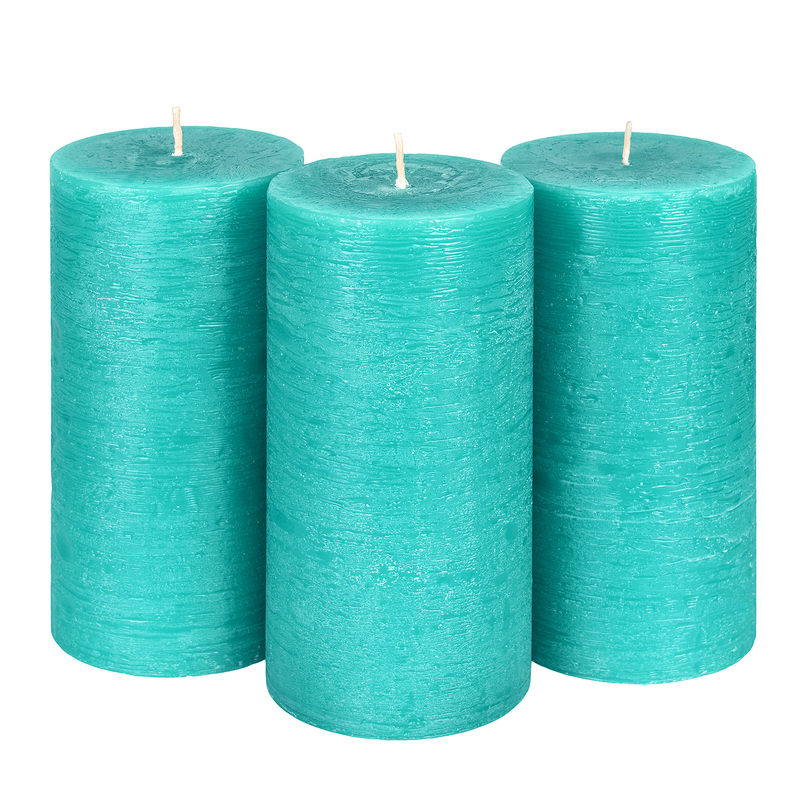 Instead of being dipped into color, our candles are made from dyed wax throughout, so they are vibrant and luminous. Our unique 'rustic' surface pattern is a result of hand poured wax cooling in the mold, and depends on many factors including molten wax and ambient temperatures, mold material, how fast the wax is poured and so on. No two candles are entirely the same. Both fragrance-free and lightly scented versions are available, and our scented candles not only look great, they smell great too. 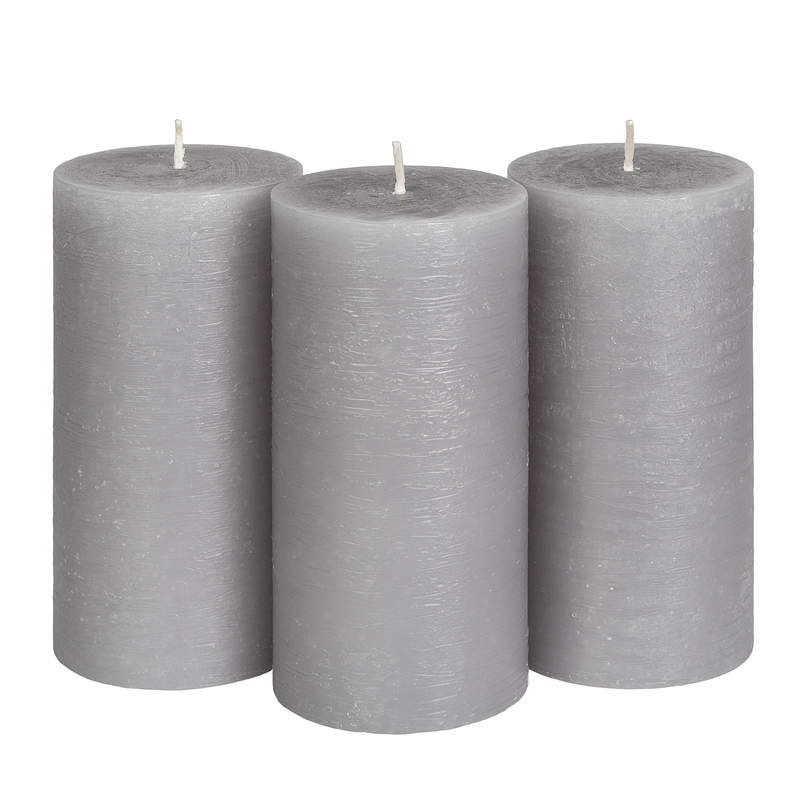 Our candles are a great accent for interior decoration of homes, events and wedding receptions. 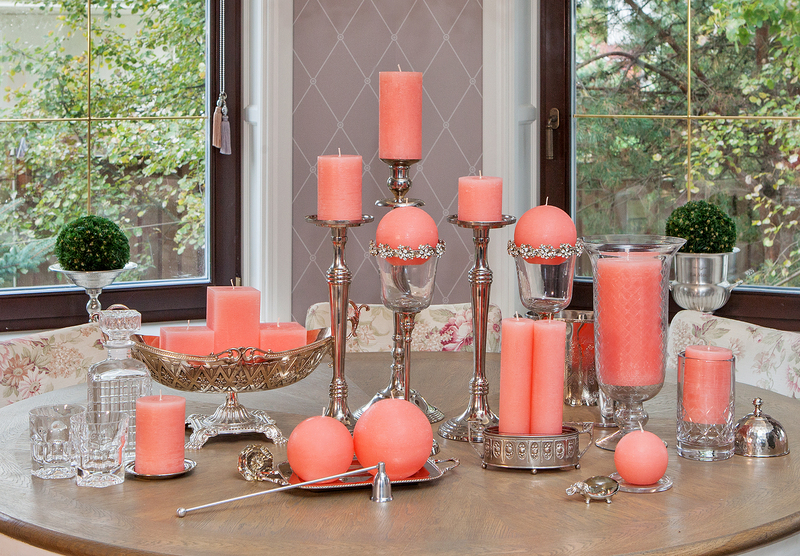 Natural and warm light combined with the sophisticated look of the candles create a mellow ambience. 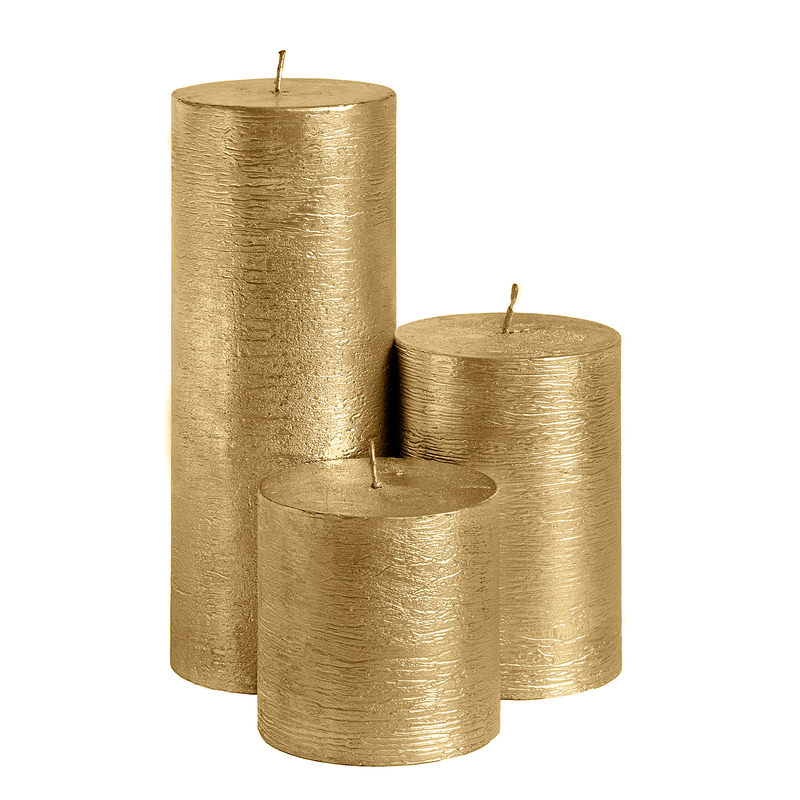 A set of these candles will make a wonderful centerpiece for the table and is a guaranteed conversation starter. Made by Candle Atelier. Our candles are made in Europe and always poured by hand. They contain no harmful chemicals, insecticides or pesticides. 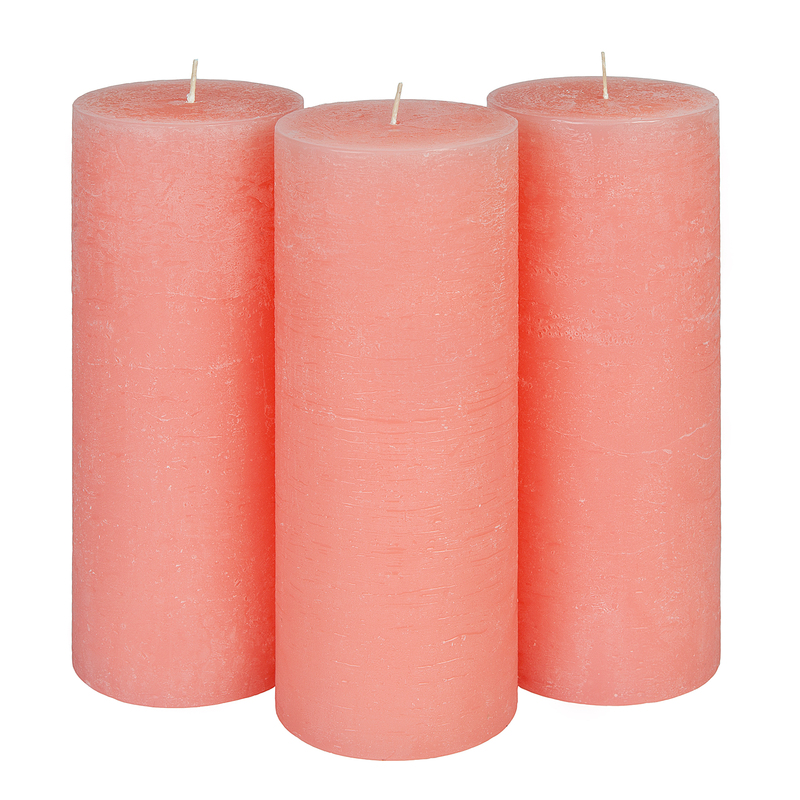 Classics > Browse By Color > Coral Pink > Pillar > 3" x 7.5"
Classics > Browse By Shape > Pillar > 3" x 7.5"
Copyright Candle Atelier. All Rights Reserved. powered by 3DCart eCommerce Shop.